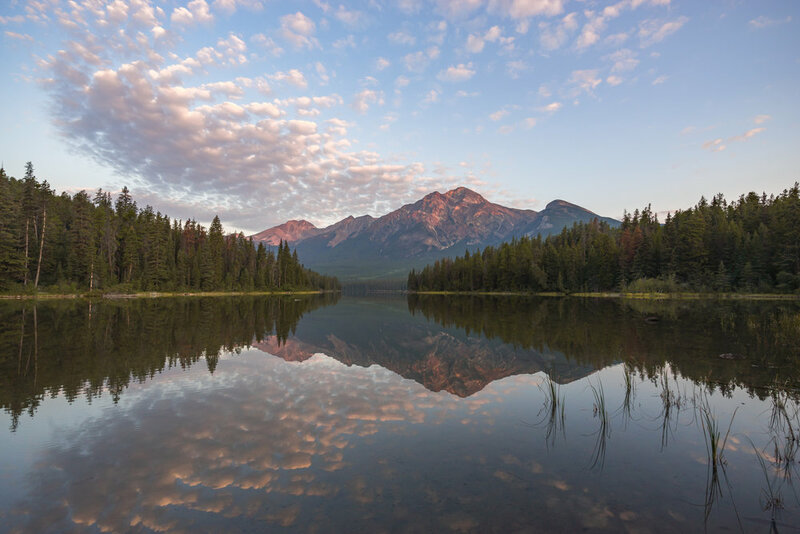 Simplicity marks the origin of Banff—Canada’s first national park. 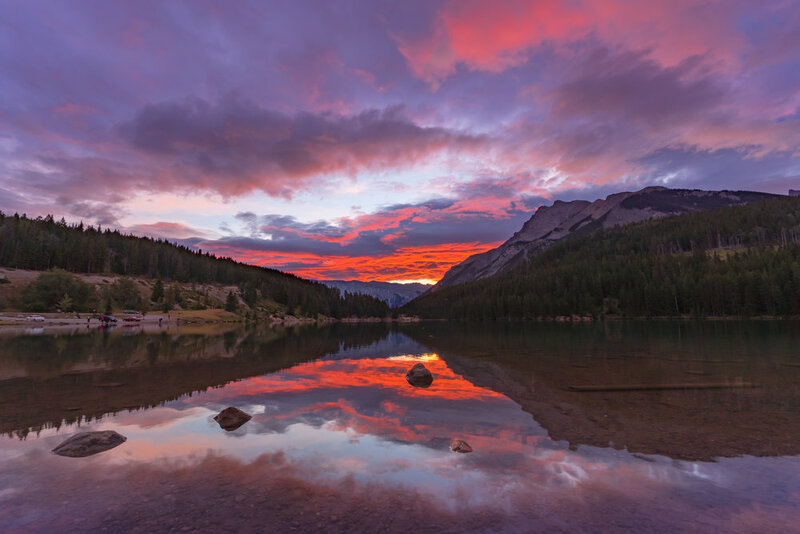 In 1883, on the slopes of the Canadian Rocky Mountains, three railway workers discovered a natural hot spring, and from there the park was born. 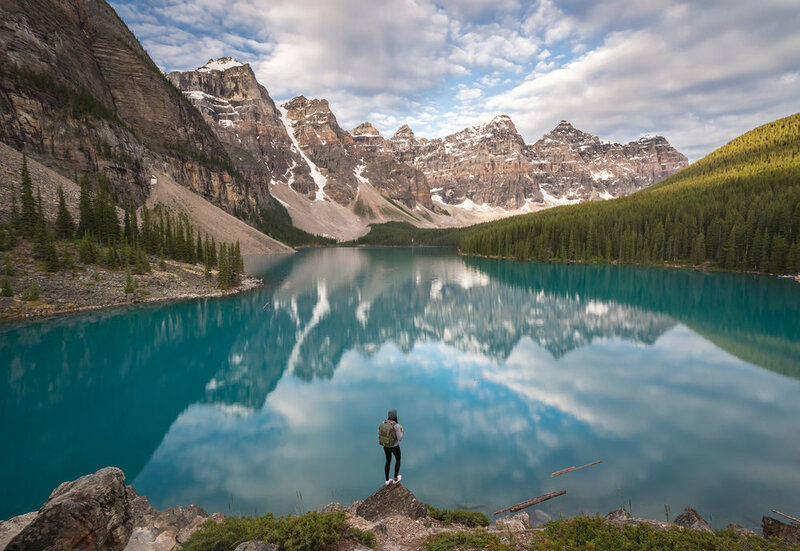 Nowadays, Banff is one of the world’s premiere destinations, spanning a region of unparalleled majestic mountain scenery. 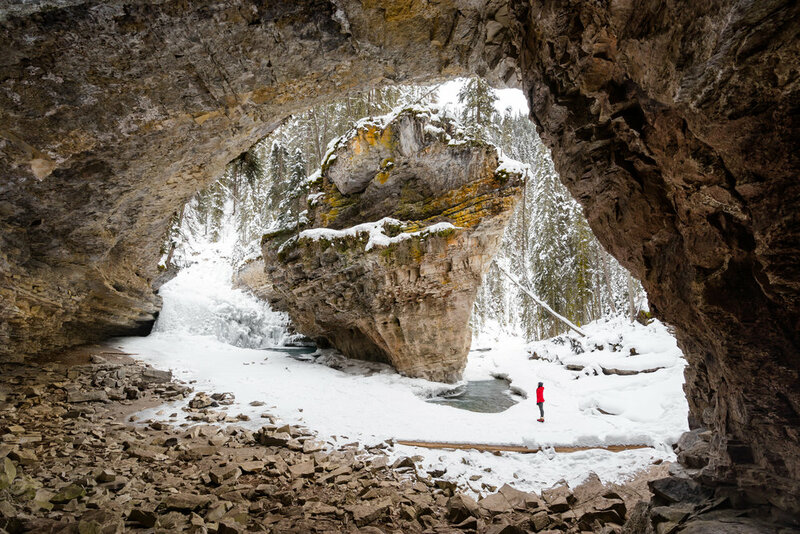 Every year, millions of visitors make the pilgrimage to Banff to take in its stunning views and arsenal of activities. 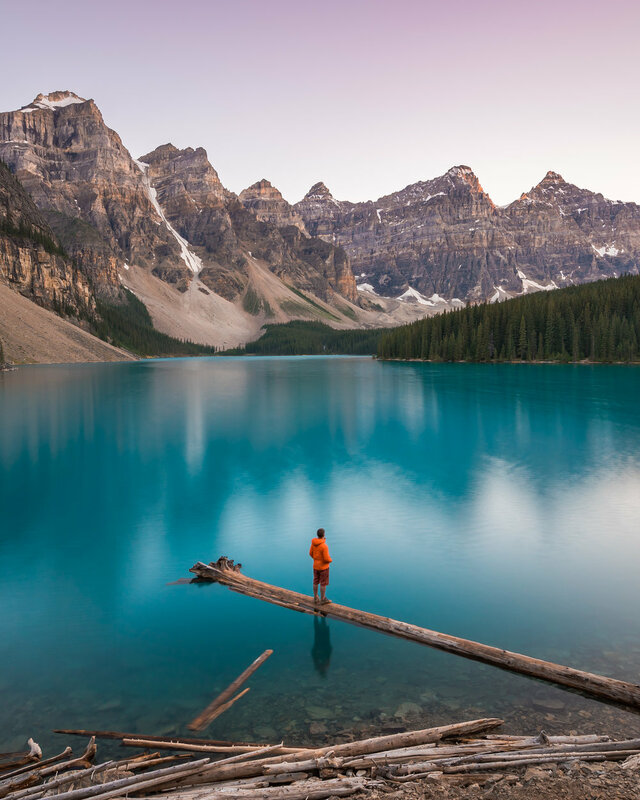 Explore the many sights that Banff has to offer from stunning blue lakes to beautiful mountainous terrain. Experience the magnificent waterfalls of Yoho National Park and visit the iconic Emerald Lake. Day 4: Check out of Banff hotel, where we will drive to Bow Lake and photograph some awesome glacier falls. 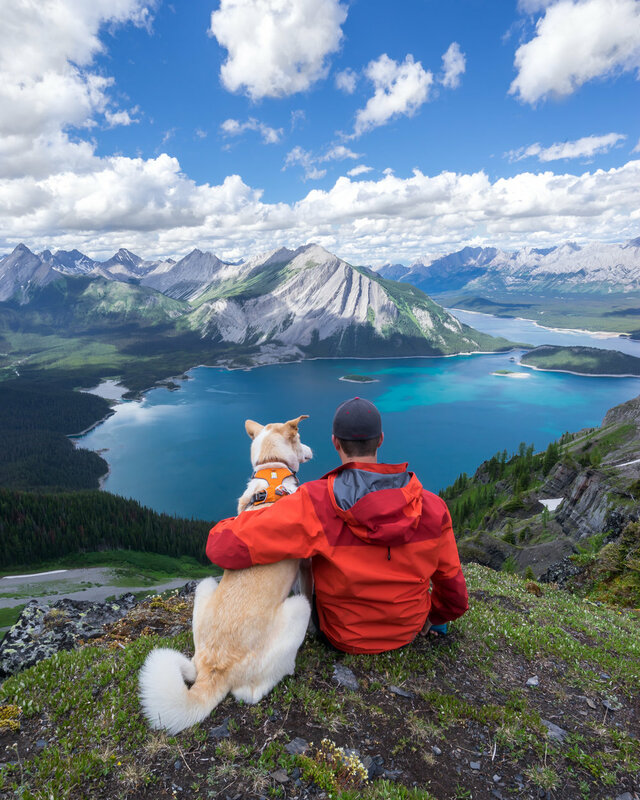 Then we will drive 30 minutes north and visit Peyto Lake which is located in Banff National Park. The lake gets its color from large amounts of glacial rock flour that flow into it during the summer months to get that awesome blue color. Your guide, Tiffany will teach you how to photograph some amazing photos on this amazing hike. spend most of the day driving to Jasper. Day 7: We will leave Jasper National Park and drive Icefields Parkway back to Calgary and connect with our international flights back home. This is an all-inclusive package including accommodation for all nights, all in-country transport (by private bus, train, and/or flight), all lecture and instruction materials from our expert guides, and activities, & all meals (prepared by our private chef). *International Airfare and Visa Fees are not included, but we do offer group rates and assistance. Born and raised in Southern California, Tiffany Nguyen is a dentist on weekdays and an adventure seeker on weekends. She strives to tell stories with her photography by capturing every detail of the natural landscapes around her and imparting her work with a sense of life. As a completely self taught photographer, Tiffany focuses her photography on travel, adventure, and landscapes and is always looking for new places to explore and document through her lens. Fueled by a thirst for adventure and passion for photography, she constantly strives to push outside her comfort zone and expand her skill set. By capturing her adventures, Tiffany hopes to inspire others to get outside and wants to show people that it's never too late to chase your passion and dive into something new. Tiffany grew up by the beach and had no experience with photography or exploring the outdoors until about three years ago. In that short time, Tiffany has built a diverse portfolio working with many brands both inside and outside of the outdoor and travel sphere. Tiffany’s work has been featured on Huffington Post, AOL, USA Today, Mashable, Backpacker Magazine, Forbes, Cosmopolitan, Buzzfeed, and Reddit. When she's not traveling or practicing dentistry, Tiffany enjoys playing tennis, scuba diving, and snowboarding.